Sriracha is a spicy yet flavoursome hot sauce, consisting of ripe Jalapeno peppers (over 84%), sugar, salt, garlic, distilled vinegar, preservatives and a thickener. 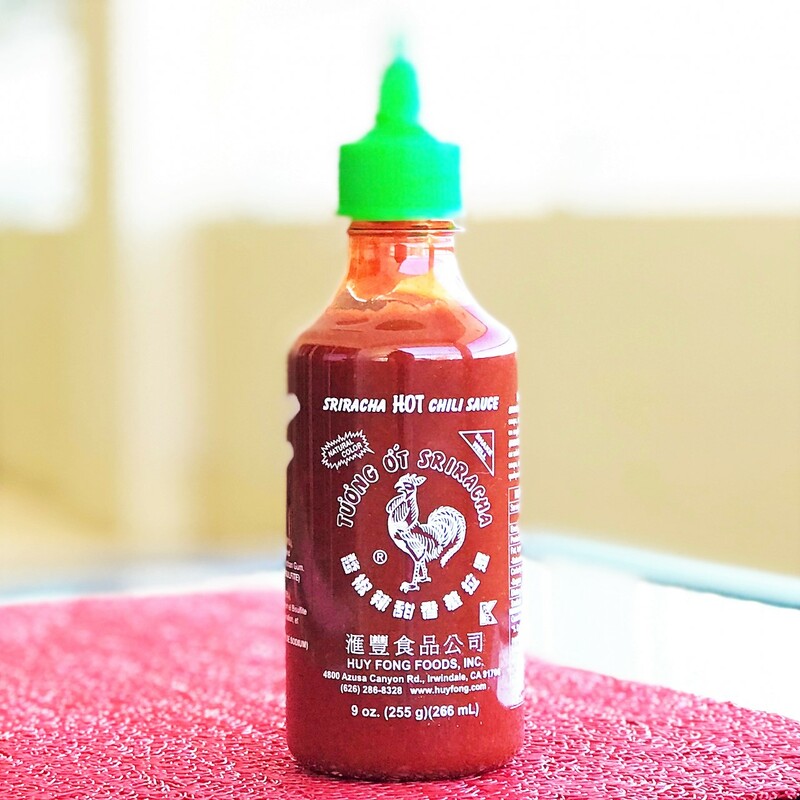 In Thai, the word Sriracha is commonly said with three distinct syllables “See-rah-cha”, whereas the western adoption is more like “Sur-archer”. It is claimed that the sauce was first made in the small Thai town of Si Racha. Origins are mixed, in that one claims Burmese sawmill workers first made the sauce up themselves, using ingredients from a shop run by a local grandmother, then the grandmother began making the sauce herself and bottling it for sale. Another origin claim is that in the 1930’s, a local housewife named Thanom Chakkapak began making the sauce herself. However, familiar to most in Australia would be the iconic clear bottle with the green top, made by Huy Fong Foods in the United States. The story behind this brand is pretty amazing, and starts with the company founder, David Tran. David lived in Vietnam where he made his own chilli sauce called Pepper Sa-te. He bottled it in recycled baby food jars and rode around on his bicycle delivering it to customers. David, who was a major in the South Vietnamese Army, left Vietnam in 1979, along with many of his fellow refugees, after the Vietnam War had ended a few years earlier. He missed the spicy tang of his hot sauce and went about creating hot sauces again in his new home of America. 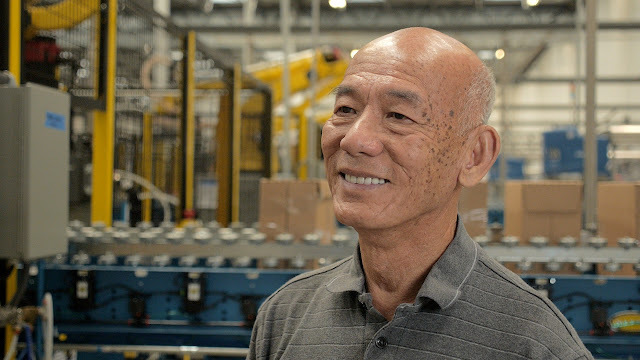 He founded the company Huy Fong Foods in 1980, which today produces three sauces, including his now famous Sriracha sauce. The company operates out of a 650,000 square foot manufacturing premises in Irwindale, California. The main ingredient – Jalapeno chillies – used to be sourced from the Underwood Family Farms since 1988, however a contractual dispute with them in 2016 put an end to that arrangement. Jalapeno’s are still used, just from a different supplier. - Huy Fong Foods was named after the freighter that David boarded when leaving Vietnam to come to America. It was called the “Huey Fong”. - Their iconic Sriracha bottle has a green top so the whole thing looks like a giant ripe Jalapeno pepper. - It has a Rooster on the bottle because the Chinese zodiac sign of founder David Tran is the Rooster. I love Sriracha especially on eggs, as it brings out a subtle heat that goes well with the softness of the egg. What do you use Sriracha on? 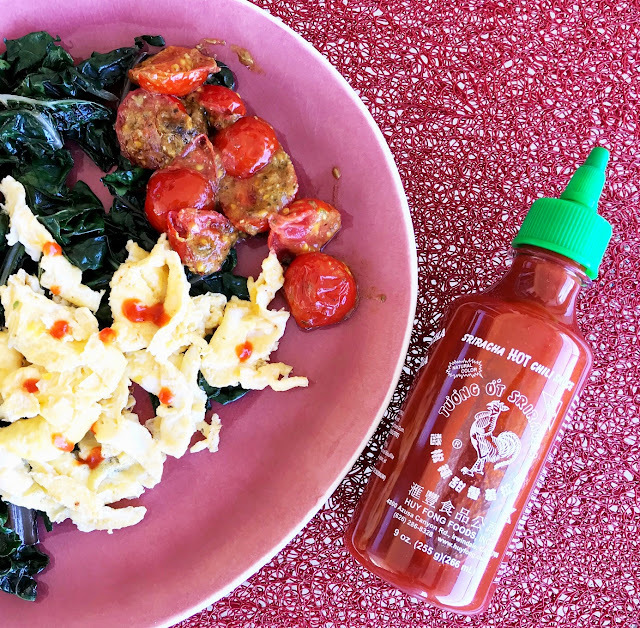 Thanks for sharing the story of sriracha Kirsty. I love it on eggs too. Thanks for dropping by Gary. I know how you love all things spicy! I've got to try it! Is it easy to get in Canberra? Easy as, I got mine at Woolworths. Coles sells it too. I can't wait to see how you incorporate it into fabulous dishes Michele! Thanks for the link Serina. I love how humble a man he seems to be, just gets on doing what he loves.